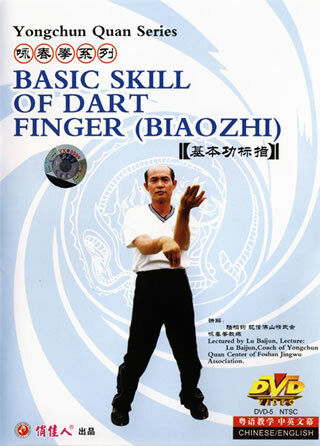 Dart Fingers is the intermediate routine in Wing Chun. Inheriting the basic techniques of attack and defence of Xiao Nian Tou, changing horse-stance and different techniques of both hands, it makes full use of the power of horse-stance wrist and the bridge. In this routine, techniques include both short range and mid-range combat and also the long range attack techniques. During practice, make sure that you are relaxed and flexible, like a spring or cane - seems to be light and soft, but actually powerful and aggressive. Through the employment of Lin Rui Wen's "Ban Chan Zhi", your fingers will be overwhelming and full of power.